This is no slap-dash conversion. 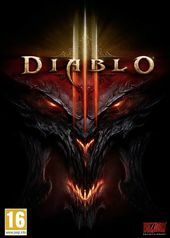 The transition to consoles has been managed with extreme care and respect – so much so, that as we speak, playing with friends on the sofa is the best way to experience Diablo III. On VR, Early Access, Destiny, and more. Diablo III picks up the story twenty years after the events of Diablo II. Mephisto, Diablo, and Baal have been defeated, but the Worldstone, which once shielded the inhabitants of the world of Sanctuary from the forces of both Heaven and Hell, has been destroyed, and evil once again stirs in Tristram. Playing as a hero from one of five distinct character classes, players will acquire powerful items, spells, and abilities as they explore new and familiar areas of Sanctuary and battle hordes of demons to safeguard the world from the horrors that have arisen. Explore a fully-realized Sanctuary – the living, breathing gothic fantasy world of Diablo III rendered in gorgeous 3D. Battle the unholy forces of the Burning Hells with all-new character classes like the otherworldly Witch Doctor, or with re-imagined warriors from Diablo’s past: such as the fierce Barbarian. Rain Hell on your enemies wielding the interactive environment as a weapon: lay cunning traps, turn destructible objects against your foes, and use environmental obstacles to your advantage – all powered by the Havoc physics system. Experience the intensity of multiplayer Diablo III over an all-new, wickedly-enhanced Battle.net platform with numerous enhancements to make connecting with your friends easier – and cooperative gameplay more fun. Necromancers all the way down. New loot system being developed. Trading is "not the core fantasy". A glimpse at the expansion in action. New Act, character class, enemies, and more. More info likely at Gamescom. A recap for console players. No word on Xbox 360. One man is to blame, apparently. One-on-one PvP will still feature in next patch. Still an unofficial project, however. Diablo III sells over 10 million. The meme shall live on. Jay Wilson and Wyatt Cheng on 1.04.